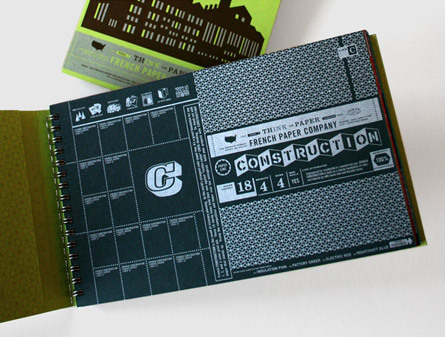 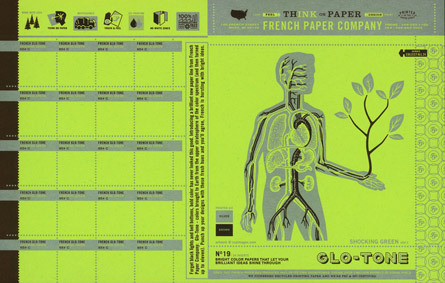 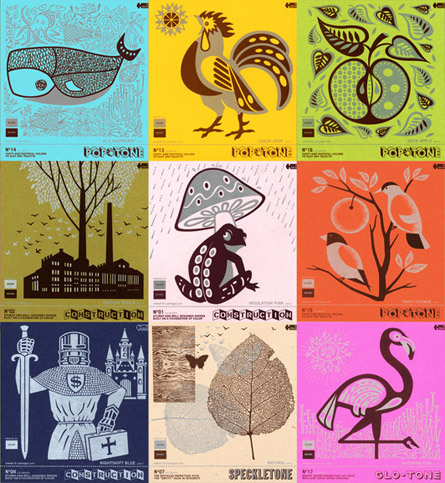 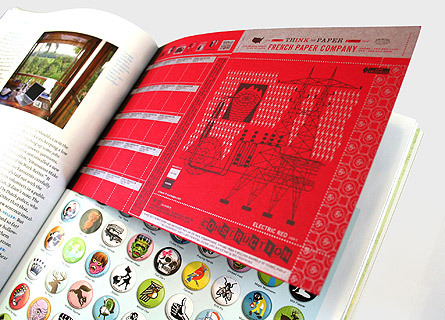 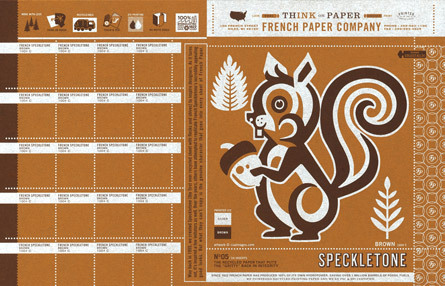 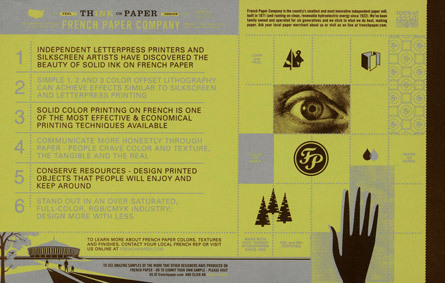 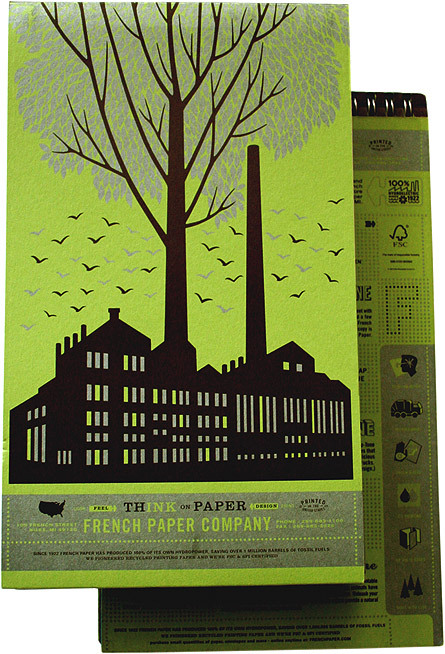 Designed as both stand alone posters and print advertising, the vibrant colors and textures of French papers paired with simple, solid-color printing techniques created a showcase for the papers that produced far more visual impact than the most complicated CMYK techniques. 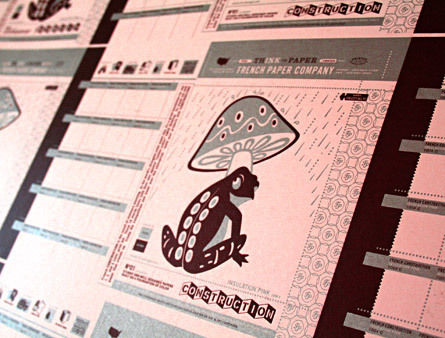 By printing in just silver and brown and letting the paper provide the primary color, we demonstrate an economical print run that results in less ink and fewer films and plates. 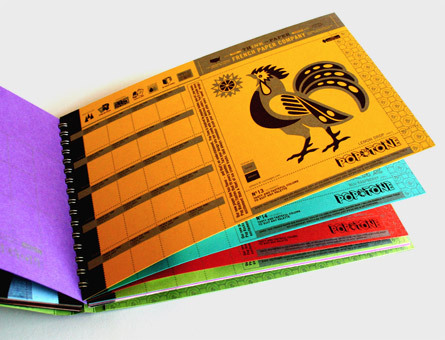 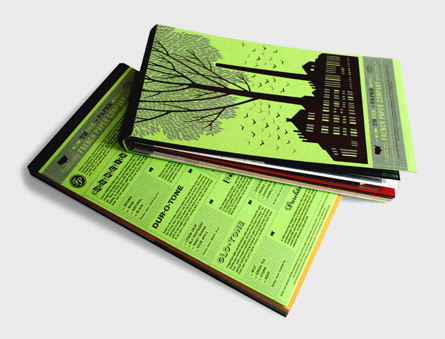 At the same time, the rich, dynamic color of the paper itself makes the promotion feel sophisticated, tactile, and more expensive than 4-color printing.